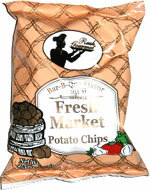 Taste test: They chips, with wide ridges, have a slight BBQ flavor. There's a hint of sweet BBQ sauce, but it ends up more salty. 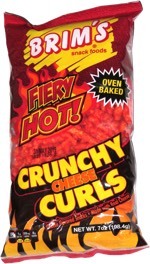 If you're looking for a good BBQ chip, this won't do it for you. Smell test: They smell more oily than BBQ-y.